Brand New in Original Box Audio Interface:PCI Express SNR (line‐out):124dB、SNR (Headphones):120dB Frequency Response:10Hz ‐ 90kHz (all channels) Sample Rate:192kHz/24bit Headphone AMP:600 ohm Headphone gain:4 gain settings Connectivity:Stereo RCA output x2、6.3mm headphone output x1 6. Soft upward or downward oblique wave and analog squelch. 5 welding free, direct plug expansion board can use, and the use of I2S interface direct decoding digital to analog, non USB DAC interface. -Audio out via HDMI, USB, Analog Jack, S/PDIF, I2S (B ). Creative Sound Blaster CT1350. 8-Bit Isa Soundkarte. Die Karte ist getestet und funktioniert. 100% brand new and high quality.High-performance 6-channel Digital Audio Sound Card.Provides audio fidelity that rivals movie theaters with 6-channels digital sound.Customize Internet audio with the power and surround sound of EAX audio technology.Enjoy compelling 3D audio and 6-channel sound on multiple speaker series.3D effect: Microsoft DirectSound 3D; Aureal A3D; HRTF 3D extension positional audio; EAX.Wave table synthesizer: DLS-base Wavetable music synthesizer.Software compatibility: compatible with Sound Blaster, Sound Blaster Pro and Direct Sound.Output sampling rate: (KHz) 48KHz.24-bit sample median.Linear standard output.Supports multi-speaker output to 6 speakers.Operating Systems: Windows 2000, XP, Vista, Windows 7, Linux.Driver download：https://. 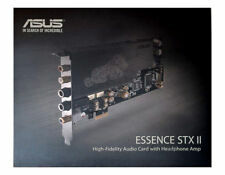 100% brand new and high quality.High-performance 6-channel Digital Audio Sound Card.Provides audio fidelity that rivals movie theaters with 6-channels digital sound.Customize Internet audio with the power and surround sound of EAX audio technology.Enjoy compelling 3D audio and 6-channel sound on multiple speaker series.Specifications3D effect: Microsoft Direct Sound 3D; Aureal A3D; HRTF 3D extension positional audio; EAX.Wave table synthesizer: DLS-base Wavetable music synthesizer.Software compatibility: compatible with Sound Blaster, Sound Blaster Pro and Direct Sound.Output sampling rate: (KHz) 48KHz.24-bit sample median.Linear standard output.Supports multi-speaker output to 6 speakers.Operating Systems: Windows 2000, XP, Vista, Windows 7, Linux.Package i.
Basiert auf dem Yamaha OPL4 Multisynthesizerchip = Wavetablesynthesizer OPL3 / OPL2 kompatiblen FM-Synthesizer. ISA Soundkarte Logitech SoundMan Wave (sehr selten). Die Soundkarte ist getestet und funktioniert. Profitez convaincante audio 3D et son 6 canaux sur la serie de haut-parleurs multiples. effet 3D: Microsoft Direct Sound 3D; Aureal A3D; l'extension HRTF 3D positionnel audio; EAX. Personnaliser audio sur Internet avec la puissance et un son surround de la technologie audio EAX. Waveblaster Module MIDI Interface Board - Sound Card Wavetable DB50XG NEC XR385. Dreamblaster Synth S2 Daughterboard. DreamFace - Dreamblaster S1 Synth MIDI Interface Board. Dreamblaster X2. Installed the Dreamblaster S1 in my Compaq Presario 9232. (Not included in the lot ). Lot - 1pcs / Price for 1 piece. o not buy the lot! Advanced Mpc-3 compliant input and output mixer. Full Duplex 64-Bit PCI Bus Master. 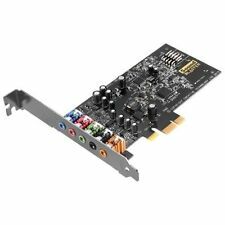 1 x 5.1 Surround Sound PCI Card. Am 16.04.19 hat der Verkäufer die folgenden Angaben hinzugefügt Integrated SRS 3D Sound Technology. Product CodeEssence STX II 7.1. 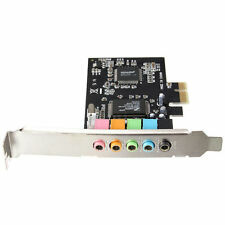 Creative PCIe Sound Blaster Z. Main features of PCIe Sound Blaster Z. 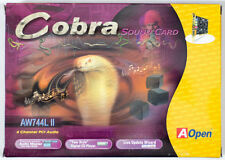 ・ Sound Blaster series used by over 400 million people worldwide ・ Quad core audio & voice processor Sound Core3D. Features and Features Common to the Sound Blaster Z Series. Comes with retail box and soundcard. If necessary, in addition to switching from BlasterX Acoustic Engine Pro software, you can turn it on / off with any shortcut key. On Windows PC, it supports 7.1 channel virtual surround Customizable BlasterX Acoustic Engine Pro software (for Windows) also provided by the Web. 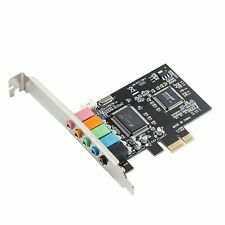 It is the easiest way to update your PCIe based system with the latest sound technology. 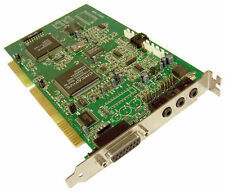 Hear the difference with the Vantec 7.1 Channel PCIe Sound Card. Computer With Available PCIe Slot. Audio Port: 1 x Line In. 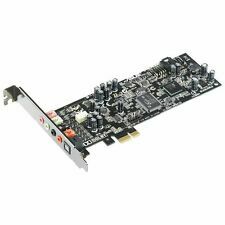 Creative Labs Sound Blaster 16 Model CT2230. FM Synthesizer Creative CT1747 ( Yamaha OPL3). See actual photo. MPN : 70SB177000000. UPC : 054651192249. IBM 38MD SP2780. ISA interface, 28.8 v34 modem, SoundBlaster compatible. ISA FROM THE 90s. Mwave SP 2780 SOUND CARD & MODEM. Working Pull, Good Condition See Pictures. Not Included in This Item Are Any Disks, Cables or Anything Not Pictured. ( The Original disc is. not included in the lot ). Lot - 1pcs / Price for 1 piece. o not buy the lot! 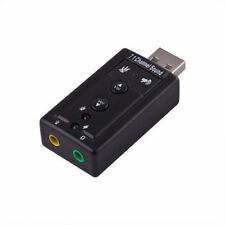 Headphone amplifier equipped, high-quality portable gaming USB audio | S / N ratio 120dB DAC equipped, up to 24bit / 192kHz.